Rameshwaram is an small island located between peninsular India and Sri Lanka. It is considered a very holy place for Hindus and has been referenced in the most famous Hindu mythology The Rayamana. 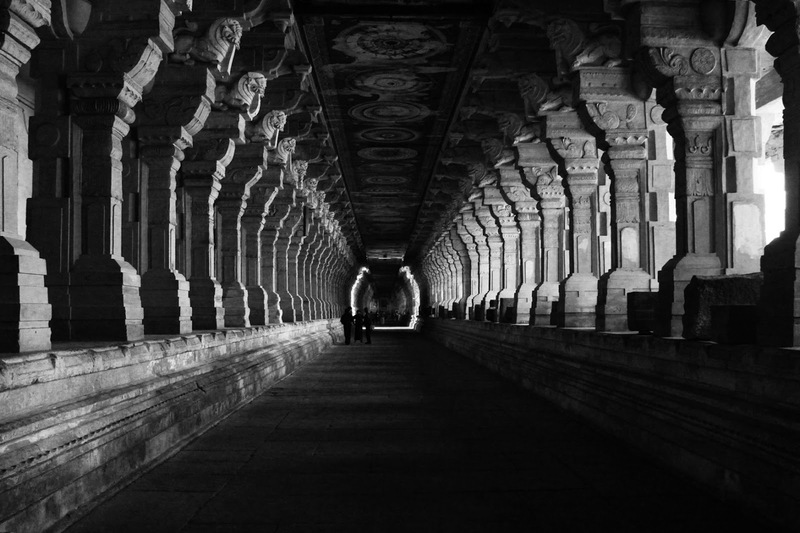 I visited Rameshwaram way back in 2010 when I has just picked up photography as a serious hobby and wanted to explore interesting palaces in India. I had read an interesting article about a small fishing town called Dhanushkodi close to Rameshwaram that was swallowed by the sea in a freakish storm in the year 1964. Now a days Dhanushkodi is a ghost town and you can still see the ruins of the old town buried in sand. My curiosity to see the ruins of Dhanushkodi got me to Rameshwaram islands. 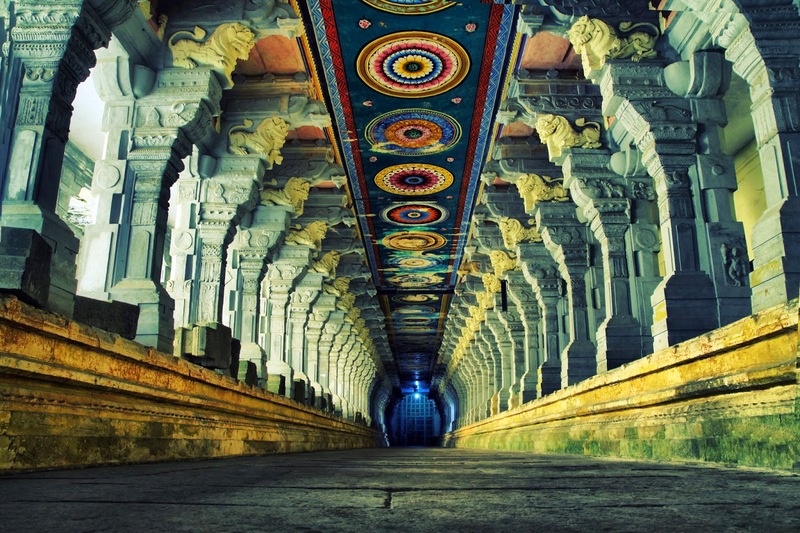 Ramanathaswamy Temple is a Hindu temple dedicated to lord Shiva, The God of destruction. The temple has a hall consisting of 985 pillars build in the 16th century, the corridor is the longest for any Hindu temple in India. It was an amazing experience walking through the massive corridors of this ancient temple. The closest airport is Madurai which is 174 km, but most of the international flights will land in Chennai .Chennai to Madurai is about 8 and a half hours by train (approximate cost 1000 INR) and 1 hour 20 minutes by flight (approximate cost 1000 INR 3000) .From Madurai you can either take a taxi but a better option is to take the train as it passes over the Pamban bridge, which is the longest cantilever bridge in India. According to legends Rameswaram is the place where Lord Rama built a bridge across the sea to Lanka to rescue his wife Sita from the clutches of Ravana the demon king who kidnapped her.The link below is an animated version of story of Ramayana. If you visit Rameshwaram, you must visit the ruins of Dhanushkodi ! Rameshwaram isint advertised as a tourist destination but its an amazing place especially Dhanushkodi. Your article is amazing and very informative. And the best thing in your article is quality words. Photos are fabulous, so thank you my friend for sharing this article with us. I get many information from this article.